Come on in. Our doors are open! A Physical Therapist may provide physical therapy services with or without a referral from a healthcare professional. A Script (RX) may still be required by your insurance. For all Commercial plans, the insurance company must be called for benefits, and the question asked if a Physician script is required for treatment and payment of services? Direct Access in Illinois is applied with the following health plans: United Healthcare, Aetna, personal injury coverage, auto insurance coverage, out of network plans (excluding Cigna). A prescription is still needed for PT services for Worker’s Compensation coverage. Medicare continues to require a signed plan of care as the condition of payment. Medicare patients can be treated under Direct Access but must have a Primary Care Physician (PCP). The PCP would be responsible to sign the Plan of Care for treatment to continue. If the patient does not have a primary care physician or “physician of record”, the patient must establish a PCP or be referred to a physician considering the requirements for referring a patient to a healthcare professional. A Physical Therapist referral or written authorization from a physician is required for a physical therapist to perform wound debridement. The physical therapist must consult and collaborate with the appropriate health care professional anytime a patient’s condition indicates that it may be related to temporomandibular disorder (TMJ) so that a diagnosis can be made by that health care professional for an appropriate treatment plan. 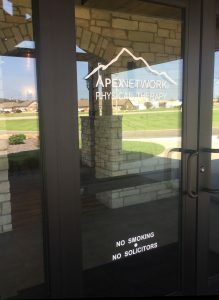 To learn more about direct access call your local ApexNetwork Physical Therapy clinic or click on the American Physical Therapy Association link below.